Recent photo of approach to Bryce Main Building. 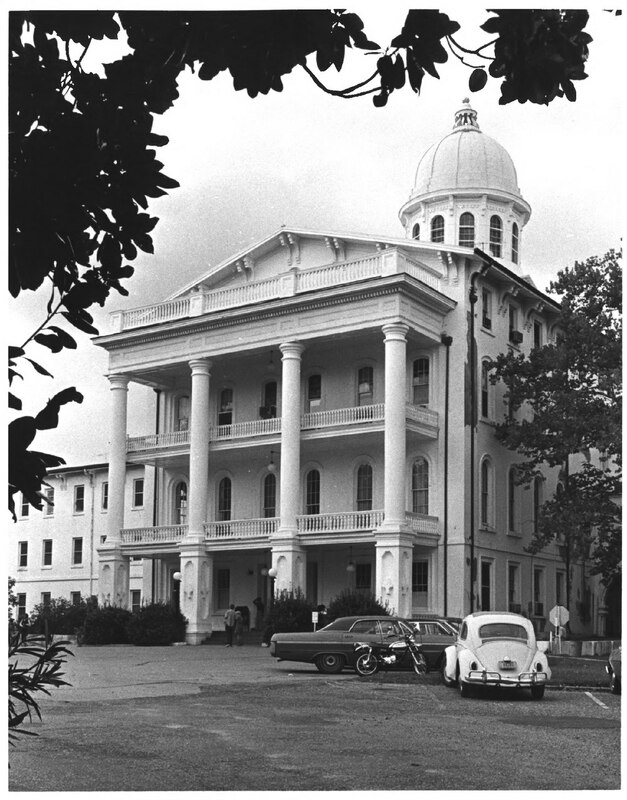 For over 150 years, the historic Bryce Hospital in Tuscaloosa, AL was used by the state’s Department of Mental Health. Over time, the monumental facility was being under-utilized and was in need of extensive repair. By 2014, the patients at the historic Bryce Hospital were moved into a new facility nearby. Subsequently, The University of Alabama acquired the historic Bryce Hospital with plans to adaptively reuse the facility as a welcome center for the university and classroom space for the theater and dance department. View from one of the courtyards. 1970s photo of Main Building approach. Photo from National Park Service. The original Bryce Hospital comprised of a four-story main building and six wings. We were selected as the architect to help the University of Alabama in their pursuit to preserve as much as the original building as possible. 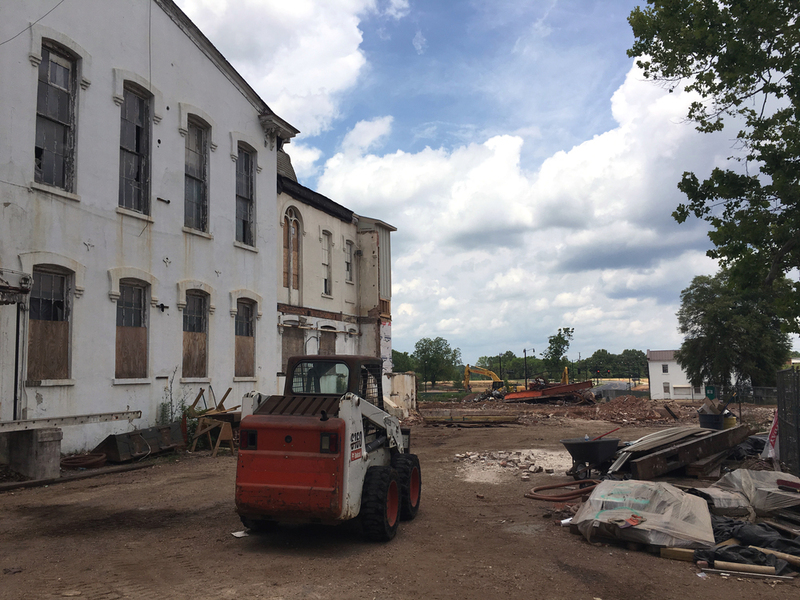 During the selective demolition and abatement process, it was determined that much of the historic structure could not be preserved; and, as a result, the two outermost wings were demolished. The remainder of building’s masonry structure will be preserved with a variety of techniques. In some areas, the interior load-bearing walls will be removed and replaced with a steel structure. The exterior masonry walls will be preserved on remaining portions of the historic structure. The photos below reflect some of the progress made during the selective demolition and abatement process. All photos taken by Birchfield Penuel & Associates, unless otherwise noted.